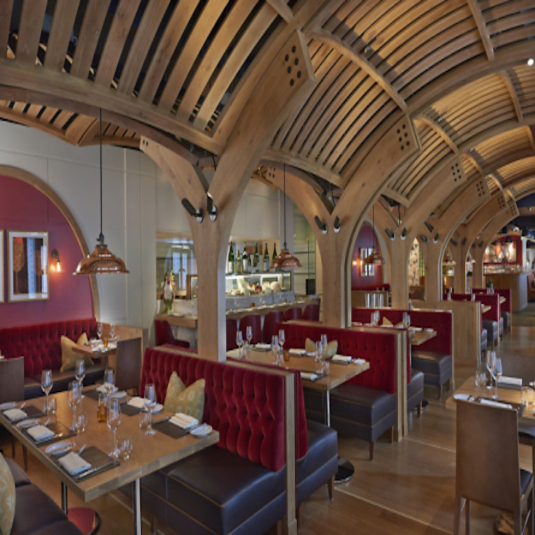 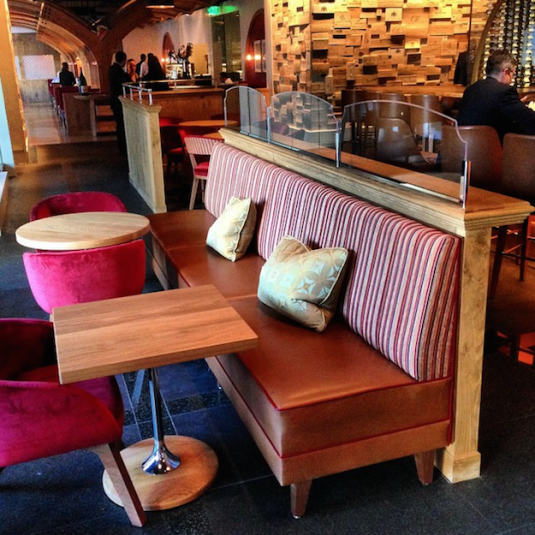 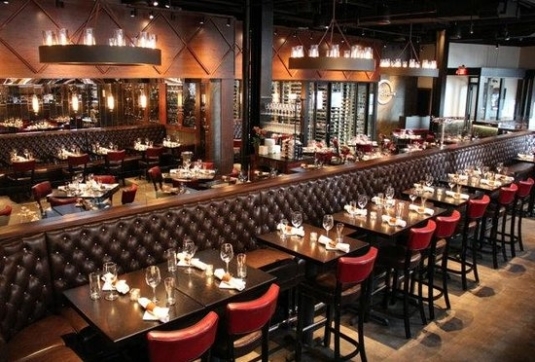 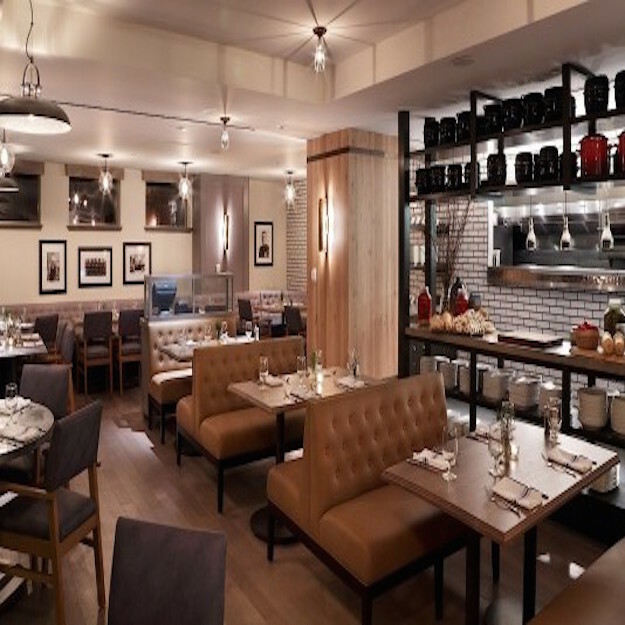 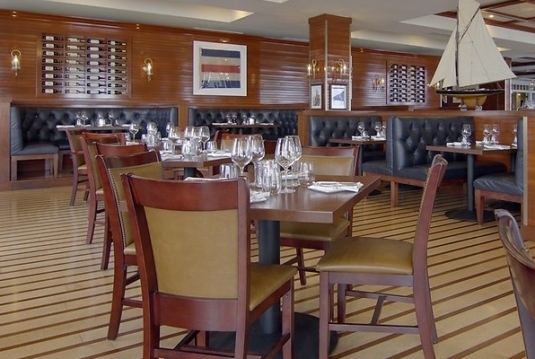 Furniture Concepts specializes in providing furniture for the restaurant industry. We fabricate custom booths and banquettes that are built at our location in Malden, Massachusetts and also offer a durable line of chairs, barstools and tables. 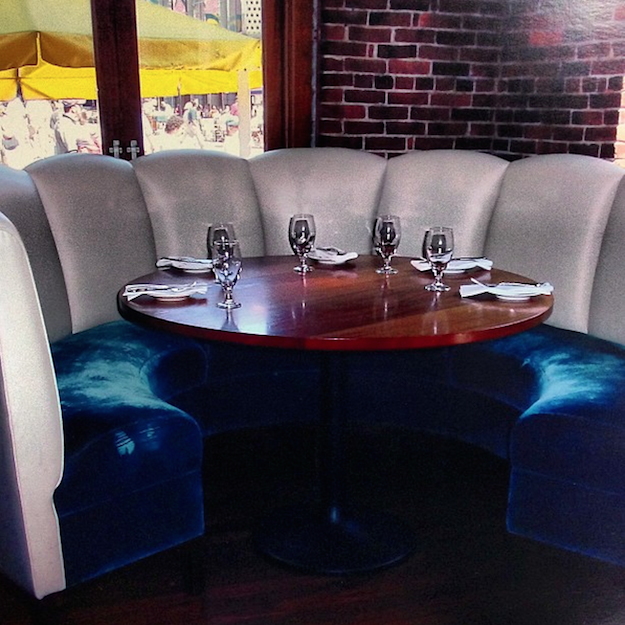 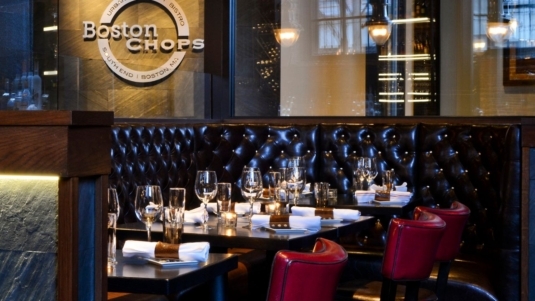 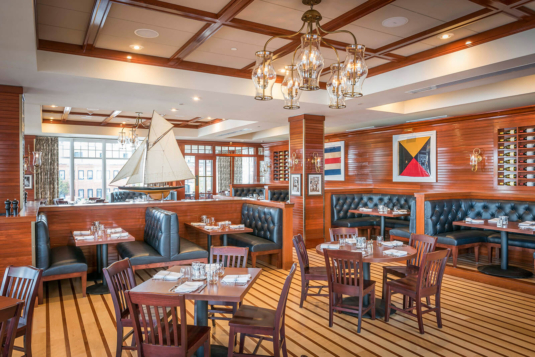 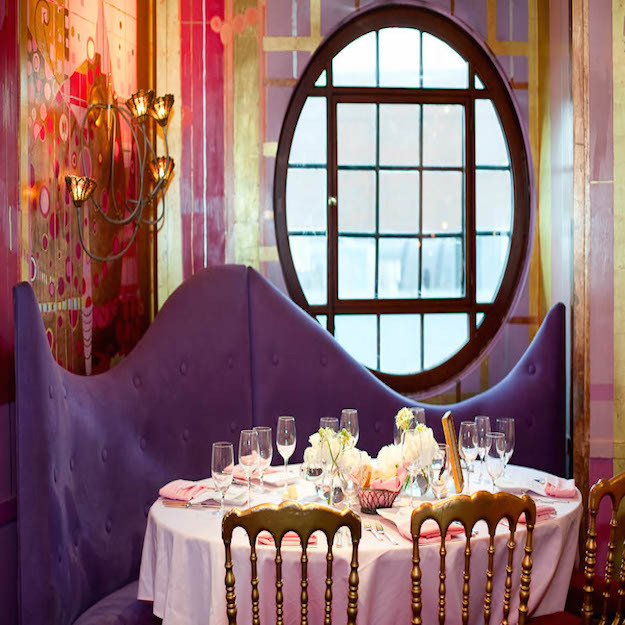 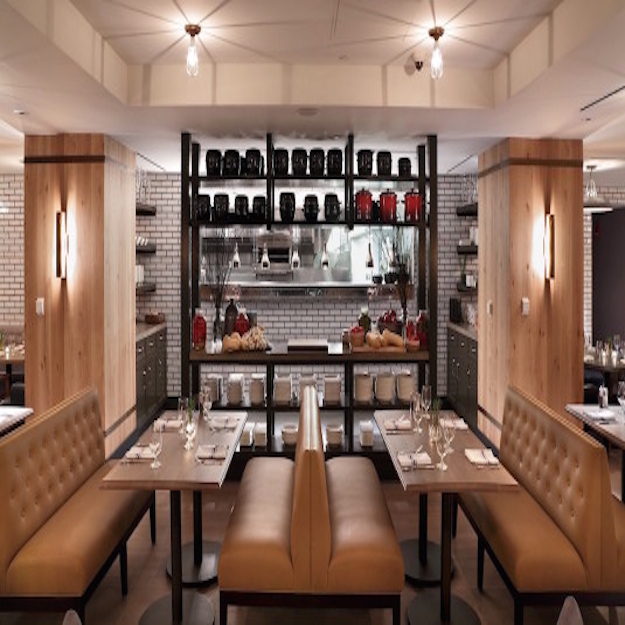 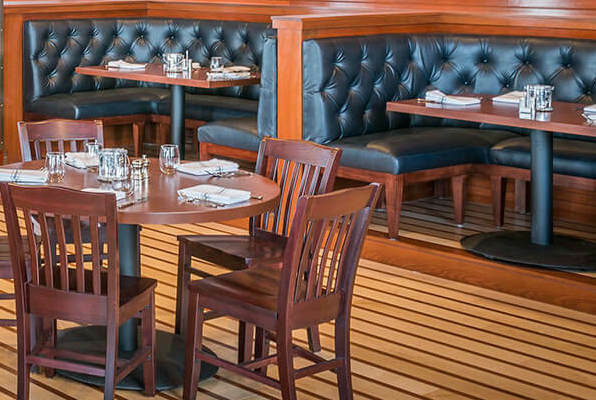 Some of the most notable restaurants in Boston and New England feature our booths and banquettes. 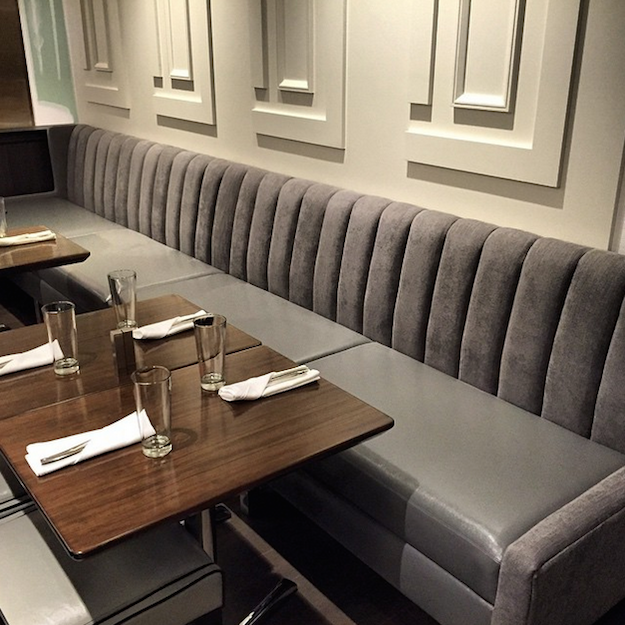 All of our banquettes and booths are fabricated to meet California Technical Bulletin 133 fire code, and we guarantee that your pieces will comply. If your project’s installation is the City of Boston, we’ll even assist you in applying for your fire certificate, which you can supply to your inspector at your final walk through. 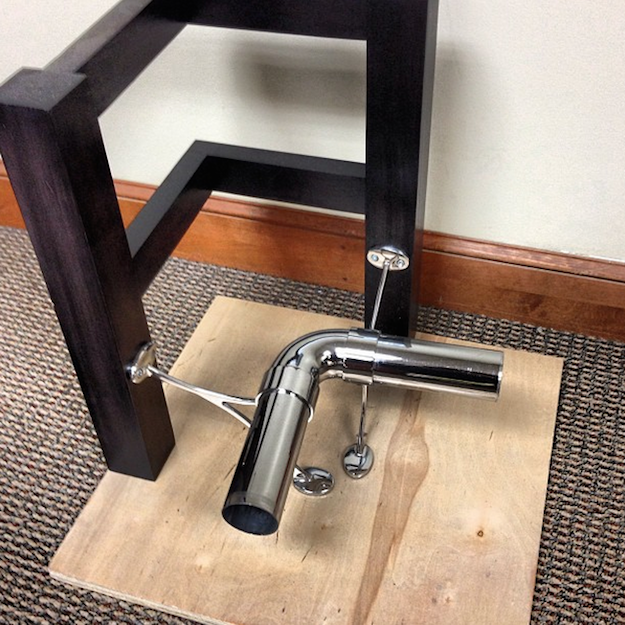 If project is outside of Boston, we’ll supply you with our certification results for your local fire department. We will ship, via truck, anywhere in the contiguous United States. 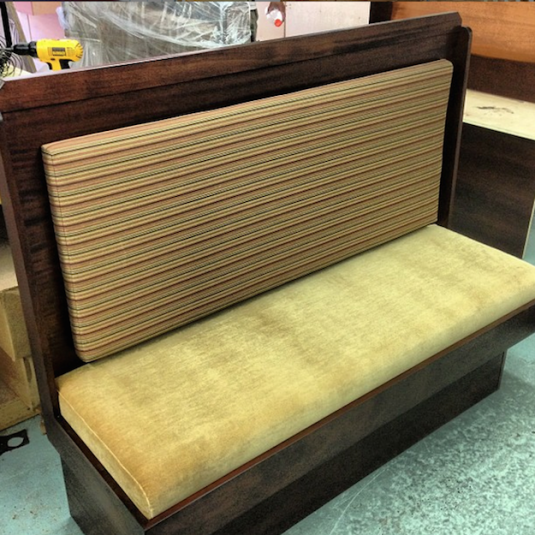 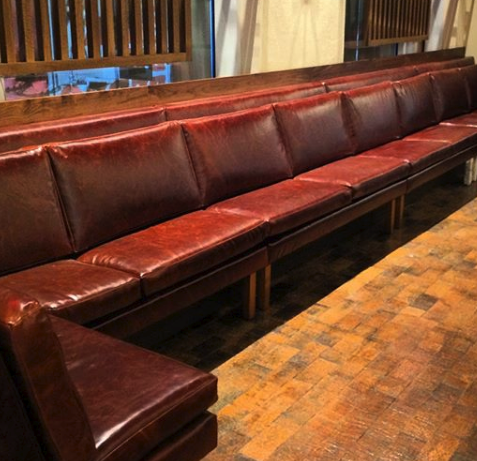 Same-Day Seat Repair: For our restaurant clients, we also offer same-day seat repair and reupholstery. 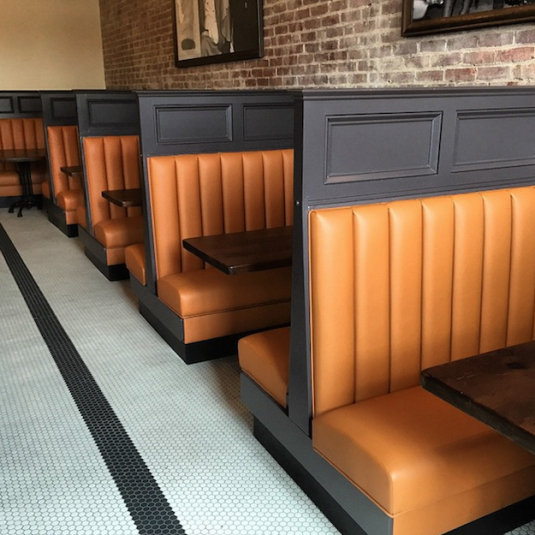 As long as your location is within 30 miles of Malden, Mass., in most cases we’re able to take out your ripped or torn booth seats in the morning, and have them back by dinner service. 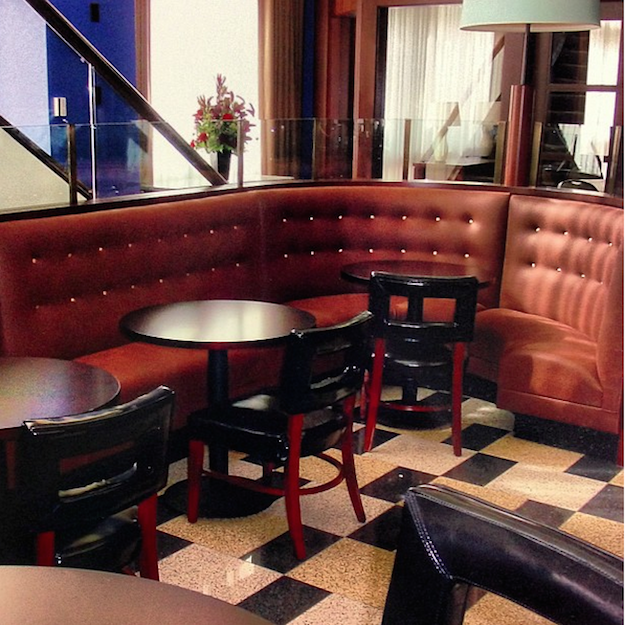 Contact us today to set up your appointment!